With so many different OTA sites taking customers from hotel’s very own websites, a powerful strategy is needed to combat these losses. The key is to give customers a reason to not want to book anywhere else. An easy way to do this is by providing a special that offers something more than what a guest can receive when booking with an OTA. In other words, provide more value than the OTAs are able to give guests. Before doing anything, check to see if the rates listed on your hotel’s website are in rate parity with all of the major OTA sites that your hotel is listed on, such as Expedia, Booking.com, and Travelocity. This one small factor could be the key to a guest booking with you or with an OTA. If a guest can get a better deal on Expedia for the exact same room, make no mistake, they will take the deal. Don’t make the choice of booking with an OTA an easy one. The first step you need to take when creating a special is to determine who the target market is for the particular special. You can create multiple specials that target different types of travelers, but be sure to keep a single target in mind when creating the special. Think about what is important to this type of traveler? Are they the type that is interested in having the lowest price possible when it comes to booking a room? Or perhaps they would be more interested in having an upgraded room? Sit down with your team to come up with the a special that is specifically tailored to the traveler type that you are trying to attract. Once you have compiled a list of what is important to your guests it’s time to start building a special. Figure out what your property is able to offer up in that special that goes above and beyond just a room. Think of something that would provide a great guest experience. Include extra amenities and anything else that will allow you to offer more value compared to an OTA. 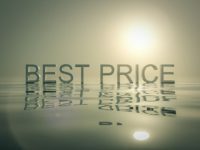 No matter what type of special you create, your hotel should have a special that has a deep enough discount or provide enough value in order to capture a travelers attention. Once you create a special, you need to take action to promote it so that travelers know that it exists. Use all of the channels available to your property to get the word out. If people aren’t booking your special, evaluate if what you are offering is important to the customers you are trying to target. Would they prefer an upgraded room as opposed to a discounted room? Test out different specials to see which ones work best for your hotel to increase direct bookings.